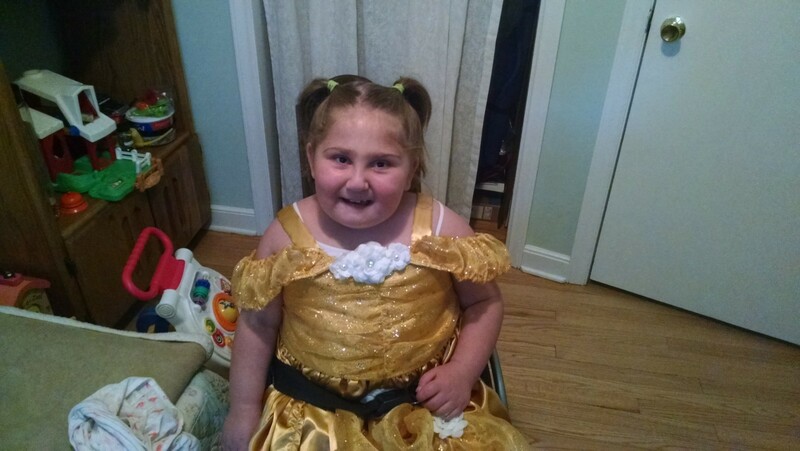 We met with Becky, the woman who made Namine’s Make A Wish dress. It is nothing short of amazing. Remember when Namine and I met with Becky to have her measured for her new dress? Time sure flies, and we get closer every day to leaving for Florida. Now that the dress was finished, it was time to go try it on. Of course, we know what Belle’s dress looks like. But having an idea in your head of what to expect often doesn’t do justice to the real thing. So it was tonight, and we could not have been more impressed. When Becky revealed the dress, we were blown away. Jessica and I were speechless. Namine gasped, then squealed. I helped Namine put on the dress. For the most part, it fit wonderfully. The shoulder straps were a little on the loose side, that was all. They were easily (and quickly) amended. But the dress was not all. No, Becky also had a small box of accessories for Namine. In it were a head piece (for lack of a better descriptor; it’s not a clip, as it’s just got some Velcro and some ties), and a matching purse and gloves. The gloves are not quite gloves — they’re more like sleeves for Namine’s forearms. Namine prefers to be in charge of wheeling herself, after all, and it wouldn’t do to get her gloves dirty. 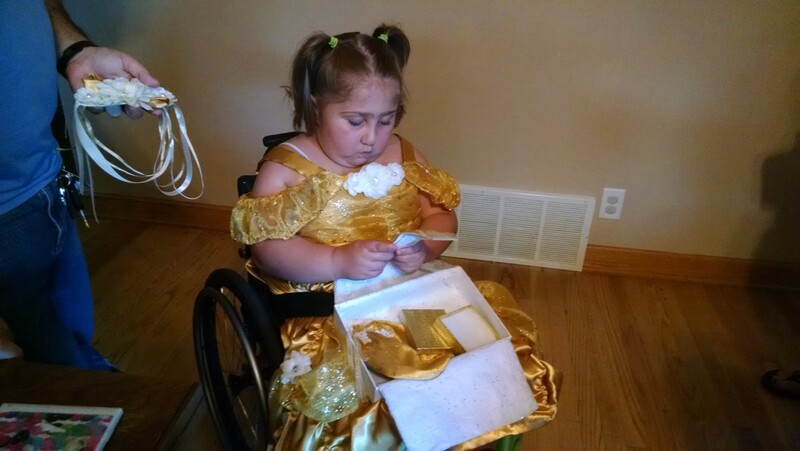 With Namine sitting in her wheelchair, her new dress drapes beautifully. And when she stood up in her walker, it was not too long — on the contrary, it was the perfect length. 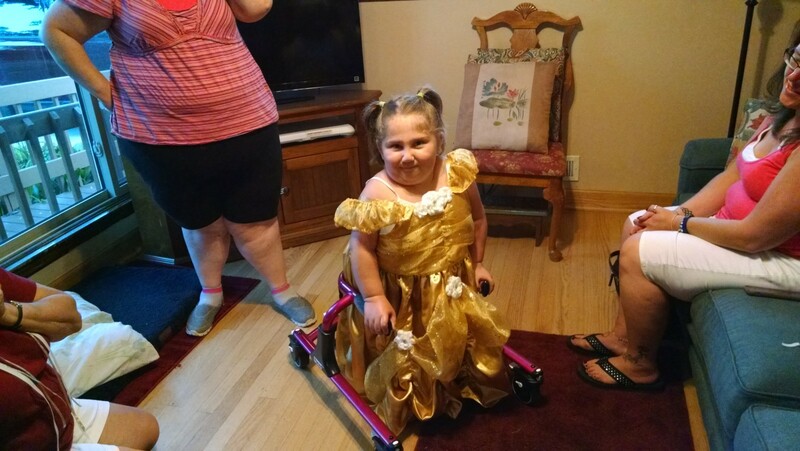 We won’t be able to bring Namine’s walker, but she was happy to stand tall in her new dress.